The nature of Clarkesville spray foam additionally makes it a good choice for adding insulation to existing spaces. Those locations in your home that are in need of new insulation can be tricky to update. Removing walls, ceilings or floor materials in an effort to add new insulation to an existing area means a great deal of work and expense. Spray foam insulation can get these types of jobs done more quickly and with less money invested in construction efforts. Clarkesville spray foam makes many jobs easier as it can be placed within existing walls and other spaces without requiring access to the entire space. The foam can be sprayed into the space through small openings and then expands to fill the space with the same or better effectiveness as that obtained from a more traditional insulation material. The crawlspaces in your home are one place that you can end up spending a great deal of extra money on your heating and cooling that you may not be thinking about. If your crawlspaces are not properly insulated with full encapsulation then you are not taking advantage of the energy efficiency potential of your home. 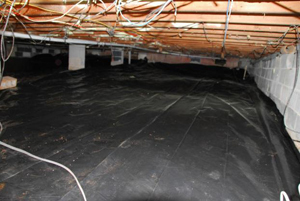 Instead of wasting money each month on your bills, make certain that you have your crawlspaces fully encapsulated to not only protect your home against condensation, but to offer proper insulation as well! Polyurethane insulation is an increasingly common form of insulation that can be sprayed onto any surface. This system offers exceptional and dense insulation that provides an exceptionally compact structure and barrier against water vapor and air. It can even be used in roofing projects and various outdoor applications, as well as anywhere in your home! Why Choose Spray Foam Insulation in Atlanta? If you’re looking for a professional Clarkesville Spray Foam Contractor, then give us a call today at 678-561-FOAM or complete our request estimate form.